Know someone battling cancer? Baylor Health Care System's Sammons Says... cancer blog is a great place to go for help. Here, you'll find information, resources, physicians, support groups and just about everything you need to help you navigate your way through this illness. Senior Forums is a great place to get the news and share views on everything from hobbies and healthcare, to food, family & travel. Matt Drudge gets the goods and his site ain't bad either. The Huffington Post is the gold standard of political blogs. You don't have to live in Dallas to enjoy D Magazine. If The Onion doesn't make you laugh, you're already dead. It's a Daily Beast and Tina Brown knows how to tame it. If you're a Mom, or even thinking about it, check out Heather Armstrong's blog. A Baby Boomer Woman's Life After 50 always makes us laugh and think. The Women On the Web have some terrific contributors. If you love old films, Turner Classic Movies should be your home page. 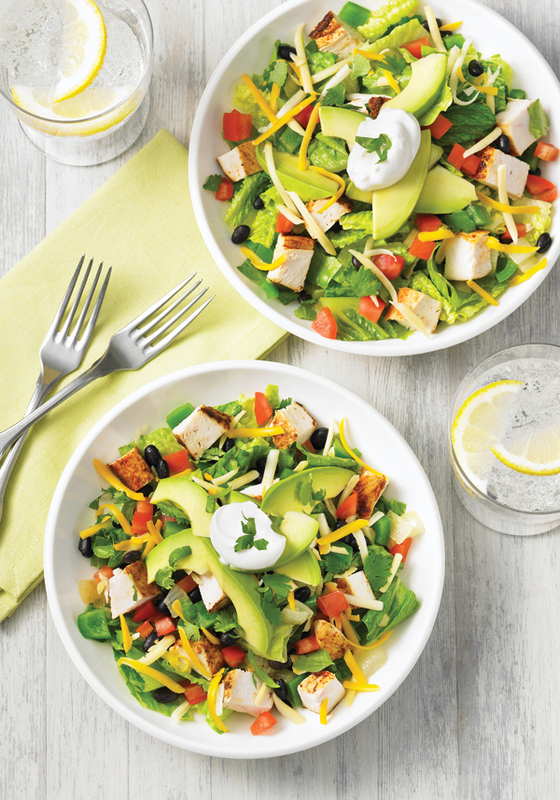 Prepare your own Mexican quick fix with this Chipotle-inspired bowl. Carbs are moderated by filling the bowl with beans, extra veggies and chicken. No need for rice, since the beans count as carbs. If you love tomatoes, increase the quantity to 1/2 cup, but note that the carbohydrates will also increase. If preparing this recipe for one person, cut all of the ingredients in half. Or simply prepare the full recipe up to the end of step 2 and store leftover chicken and vegetable-bean mixture in separate airtight containers in the refrigerator for up to 2 days. Reheat in the microwave on High for 1 to 2 minutes, or until heated through, and continue with step 3. Health Bite: The iron, calcium, magnesium, manganese, copper and zinc in black beans help to keep bones strong and healthy. It's been almost 18 years since Alison Krauss gave us a solo album, but the wait is over with Windy City. The release (her fifth solo studio album) features ten covers of classic songs (and some bonus tracks) she picked with producer Buddy Cannon.